Happening: Participatory ART EVENT open to the PUBLIC. 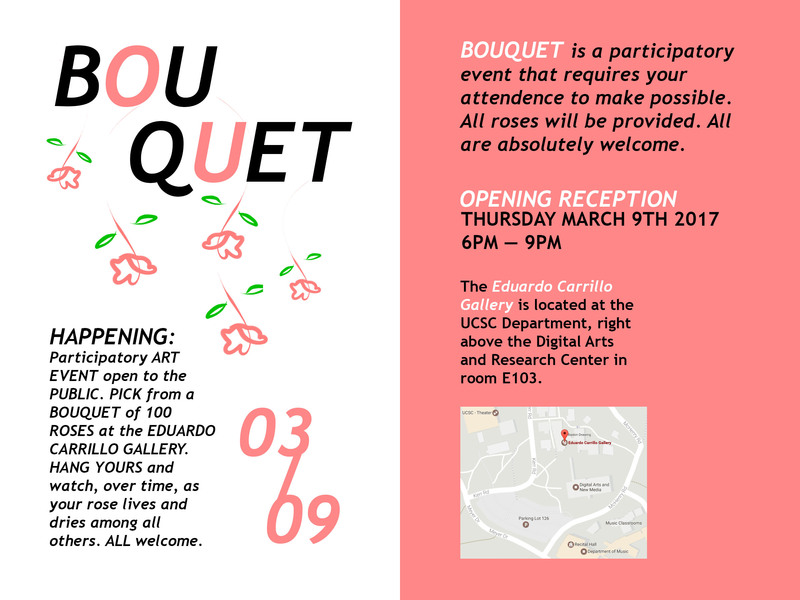 PICK from a BOQUET of 100 ROSES at the EDUARDO CARRILLO GALLERY. HANG YOURS and watch, over time, as your rose lives and dries among all others. ALL welcome. BOUQUET is a participatory event that requires your attendance to make possible. All roses will be provided. All are absolutely welcome. The Eduardo Carrillo Gallery is located in the UCSC Art Department, right above the Digital Arts Research Center in room E-103.